(Open to the public) in Elizabeth, New Jersey on June 22nd, 2019 from 10:00am-3:30pm! Check back for more information regarding exclusive hotel room rates and preferred dining venues when in town! 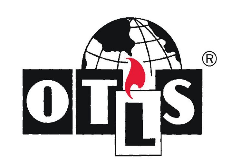 OTLS was founded in 1983 with 3 members. This club is for collectors of any type lighter — Ronson, Zippo, Evans, European, etc. We also have a few members who collect other categories of tobacciana, such as ash trays, smoking stands, Case & Zippo knives (Case Knife Co. is now owned by Zippo). For any information from June 20 - 23, ask for Judith Sanders, Convention Chairman at the Renaissance. Also for information please see OTLS.com for convention details. On The LIGHTER Side is a club for all kinds of cigarette and cigar lighters. During the Convention, different Board Members will be doing free appraisals open to the public on June 22,3019 from 10:00 am-3:30 pm. Please email Judith Sanders at judithlq@comcast.net for any questions.